Patrick Kacani, B’85 (right), and Matt Felix, R’85 (left), are pictures of good health — not surprising for two former college athletes. The fraternity brothers compete in a biennial national competition in a range of sports. But the New Jersey natives aren’t like most ex-jocks. Six years ago, Kacani donated part of his liver to Felix, his Spider soccer teammate and roommate for two years at Richmond. “I still lay claim to it,” Kacani said. Felix and Kacani competed in the Transplant Games of America three times — in sports new to them, like paddleball, and familiar ones, like running, as the Spider gear in their photo shows. At the most recent games in Salt Lake City in August, they won 16 medals (finishing first, second, or third) between their shared liver. 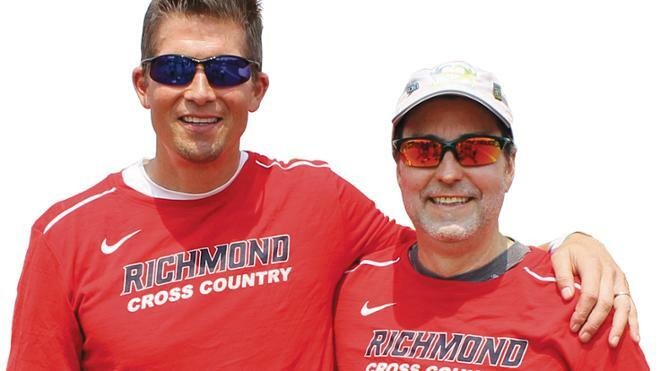 Both men are members of the Transplant Games’ Athletes Advisory Council, just one way that their commitment to the cause extends far beyond competing. Felix is part of a local organ procurement organization in northern New Jersey, through which he participates in awareness events and fundraisers. Kacani is active with the United Network for Organ Sharing, which administers organ placements, and Donate Life America, which manages donor registration. Both organizations are headquartered in Richmond, which Kacani made his home after graduation. He also serves on the Organ Procurement and Transplantation Network’s living donor committee. They addressed their fellow participants at the 2016 Transplant Games in Cleveland, and their story has been used in promotional materials, leading to Kacani dubbing them the “poster children of organ transplantation.” The transplant procedure — in addition to each of them having kids attend Richmond — undoubtedly brought them closer. “Now we have an excuse to get together, and not only do we have this common bond, but this common goal to try to help raise awareness,” Felix said. 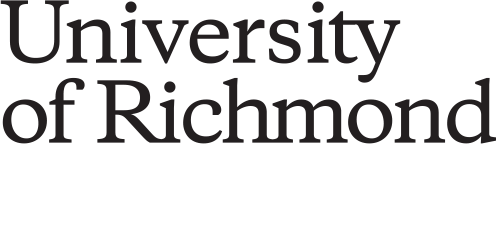 Kacani, an inventory and materials specialist for Richmond-based Ukrop’s Food Group, and Felix, who works for a risk-analytics software firm that sells to the financial markets, urge their fellow Spiders to register to become organ donors. Online registration is available at donatelife.net/register. They are also planning an alumni tailgate for the 2020 Transplant Games of America, which will take place July 17–22 at the Meadowlands in New Jersey.